How Much Holiday Cheer Is Too Much In Your Advertising? ‘Tis the season to get salesy, fa la la, la la, la la laaa laaaaaa. Yes, it’s routine. Yes, you might hate the songs. But the holiday season is a valuable time of year, as anyone in business knows — Q4 is almost always the biggest quarter for businesses, sometimes providing up to 50 percent of their annual sales revenue. So you’ve got to buy into it, whether you like it or not. Slap on the Santa hat. Smile for the customers. Wish them happy holidays. Buy into the holiday spirit, and customers will buy from you. So, yes, it’s important to be well-prepared for Q4, and engaging in holiday cheer is just another aspect of that. But that doesn’t mean you should run wild with the frankincense and myrrh just yet. 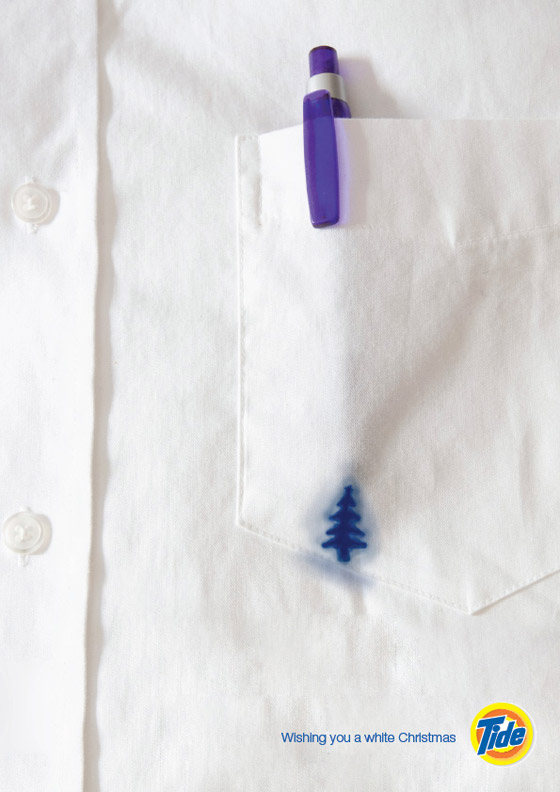 As important as it is to lean into the holiday season, it’s just as important to temper it. But it’s not for the reasons you might expect. Customers are getting savvier, and there are more options to buy from than ever before. That means more marketers trying to stand out from the busiest shopping season of the year. If your company dives in head-first to the Arctic waters of the North Pole, then you’re that much likelier to blend in with every other snowflake-splattered ad campaign out there. 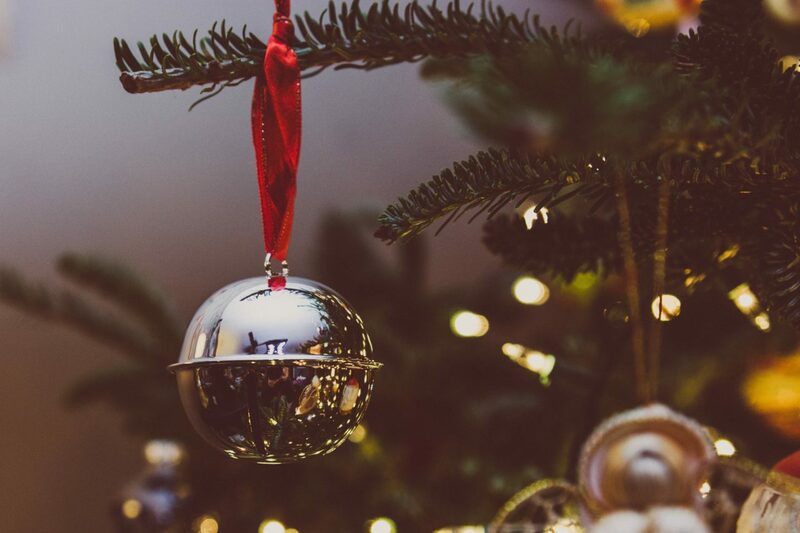 You can still incorporate Christmas themes into your advertising — Christmas colors and imagery can make an appearance — but take care to distinguish your brand. This classic ad from Tide gets paraded around a lot as an example of one of the best Christmas advertisements of all time, and for good reason. It’s freakin’ clever. It’s distinct, it’s on the nose, but it also has a ring of subtlety about it. It’s minimal. It doesn’t bash you over the head with garish and obvious imagery. It’s smart. In December 2015, a poll by YouGov found that 34 percent of respondents said they liked Christmas music “not much” or “not at all.” (The rest liked it “a lot” or “some,” in equal amounts.) That gels with previous studies, such as the 2011 Consumer Reports survey that found 23 percent of Americans “dread” holiday music, while 36 percent of respondents to a 2014 Research Intelligence Group poll claimed they left a store sooner because of the jingles. Surprised? Don’t be. Christmas music is often played indiscriminately, on repeat and ad nauseum. If you’re preparing music for a video campaign, try something that will stand out, and don’t feel compelled to play the same jingling tune you hear everywhere else. Here’s a helpful tip: if you see your holiday ad slogan somewhere else, you’ve made a huge mistake. It can be tempting to offer up an easy solution to a holiday marketing problem. “Uh… a special gift for you?” you might think. “Best wishes from our family to yours?” But these are all beyond tired. Instead, find a tagline that suits your brand. Search for emotional truth and honesty. Humans react positively to emotional marketing, and the holiday season is the perfect time to lean into that spirit. Again, you should start off assuming your audience is sick of holiday cheer already. You don’t want to overwhelm them with more. Instead, find a tone that cuts through the ubiquitous saccharine nonsense and find something affecting. There’s a reason Santa comes down the chimney – and doesn’t just saunter in through the front door. It’s a delivery that captures attention. Spreading holiday cheer isn’t only about your message, but how and when you deliver it. 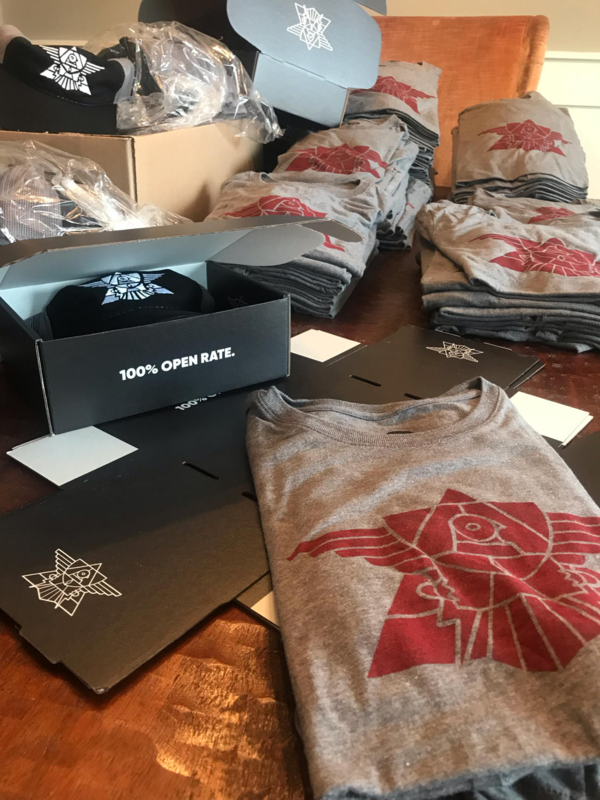 For instance, Email Industries is sending out customer swag this holiday season in a box with very clever messaging, “100% Open Rate.” The message that might drown in a crowded inbox gets a fun pop as a physical package. Spreading cheer to your customers is great – but if your message gets drowned out in an echo-chamber of corporate gifts and cards, it could be a waste of time and money. So try something different this season. If you always send a card, consider creating a video for your customers. Or if you have a strong digital presence, send something to the mailbox instead of the inbox to get an extra boost of awareness. Should you decide to embrace the tacky flavor of Christmas, embrace it with both arms. 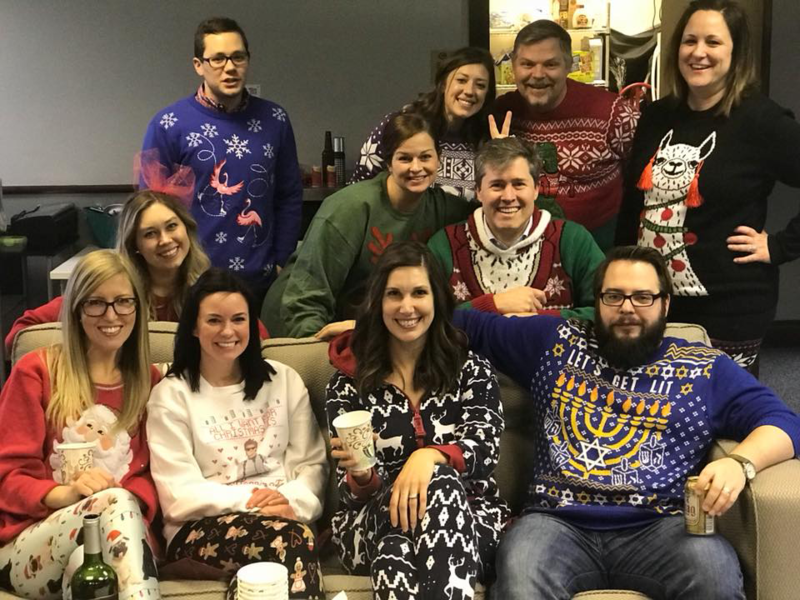 The skyrocketing trend of ugly Christmas sweaters is proof of this concept: people don’t mind being tacky if it’s a non-judgmental environment. Hatchbuckers never shy away from a tacky sweater. So you’re being super cheerful and sappy. So it’s a consumerist holiday. So what? Have fun with it! Just be clear that you’re pushing that line deliberately, and keep the messaging on point, and don’t forget your core marketing basics. It’s the holiday season, sure, but it’s still Q4. And the stress of that period can be a far less cheery than the spirit of Ol’ Saint Nick.